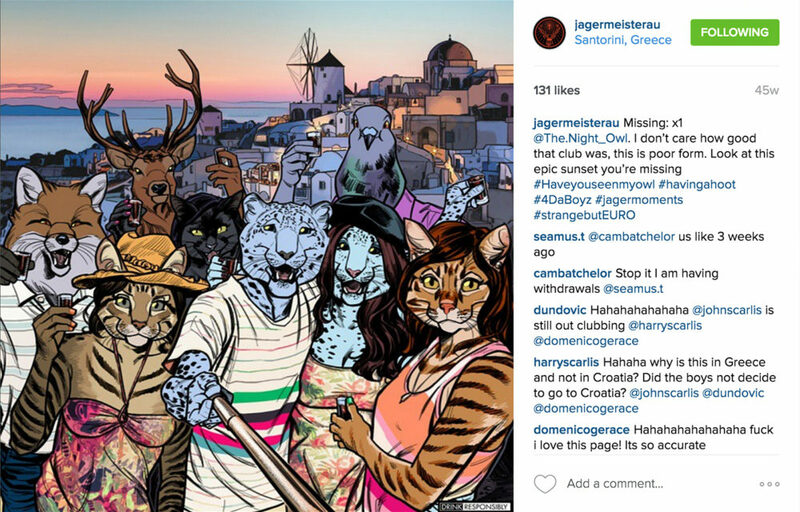 “Jägermeister – the legendary drink of ski lodges was once the life and soul of the party. But the once great spirit had fallen on hard times, suffering from an identity crises brought on by the Jäger-bomb. Millennials saw it as loud, aggressive and outdated; the shot drunk alone at the end of the night, not the way you start a night with mates. Jäger had bombed, so much so that its sales were now at an all-time low. We needed to reintroduce Jägermeister as the premium ice cold shot that was once again the key ingredient for a night out with mates. Our audience: We understood that in order for Jägermeister to gain acceptance and understanding within these social groups, we had to demonstrate our understanding of who they were and what drove their group dynamics. This understanding wasn’t just about what these guys were into, but also how they expressed themselves within their social circle. Facebook was identified as a core channel that groups of guys used to keep in contact, share their nights and build out their social persona. The Suave Stag: He’s probably going to steal your girlfriend… unintentionally of course. The Wingman: Known to jump on a grenade for his mates. The Snow Leopard: Wanna go out with him? Better ask his girlfriend. The Nocturnal Night Owl: The fist-pumping, YES MAN. Lives primarily on a diet of kebabs and Berocca. The Scheming Dodger: Famed disappearing act as soon as it’s his round. 1. 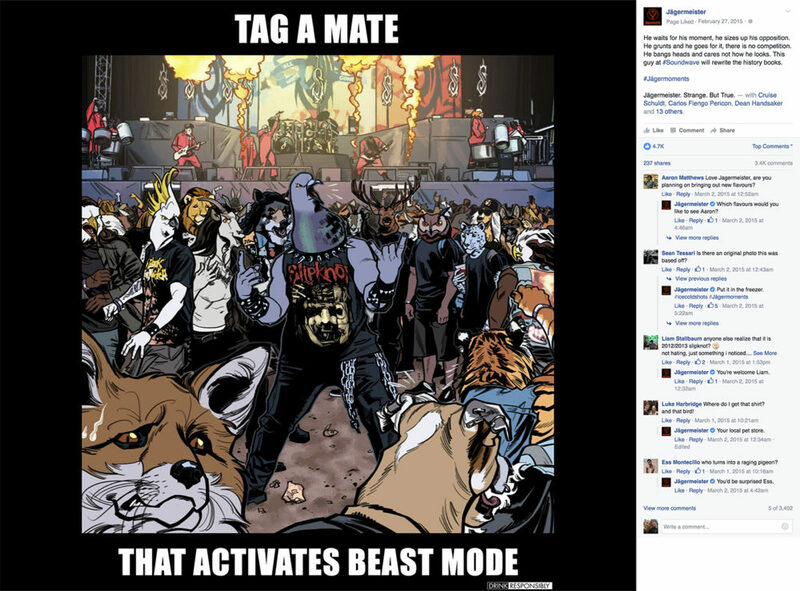 To personify the ‘creatures’ and to encourage the audience to tag their mates who best embodied the characters’ behaviours. 2. 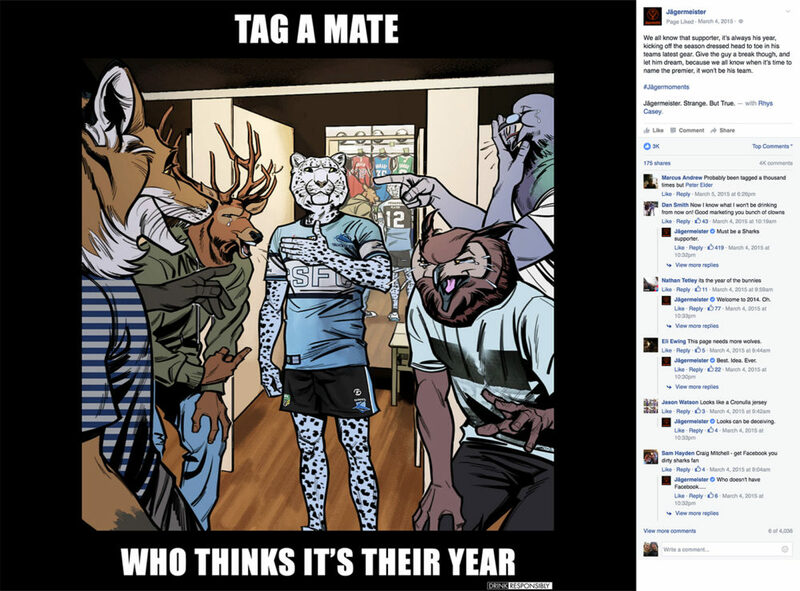 To use the creatures to fuel the pack banter on nights out – being topical, responsive and personal. 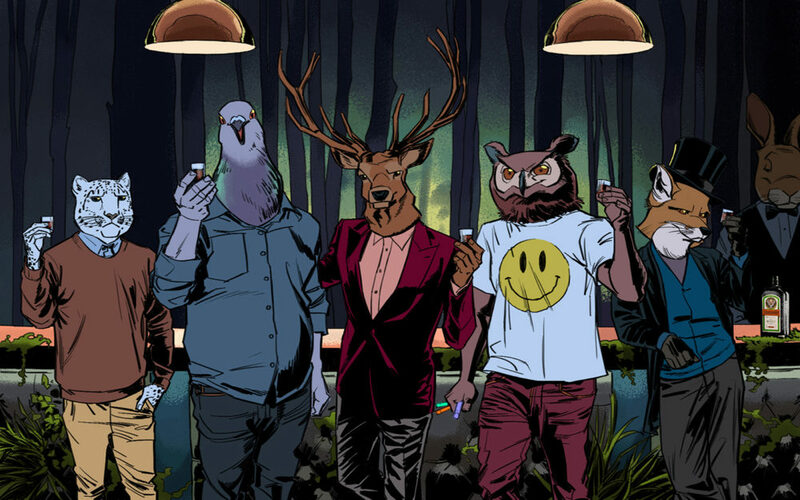 One by one, Jägermeister teased out the characters to their audience. It went off with a bang. Once established, the campaign was taken one step further: time targeting the advertising to specific moments, when those character traits would be most prevalent. 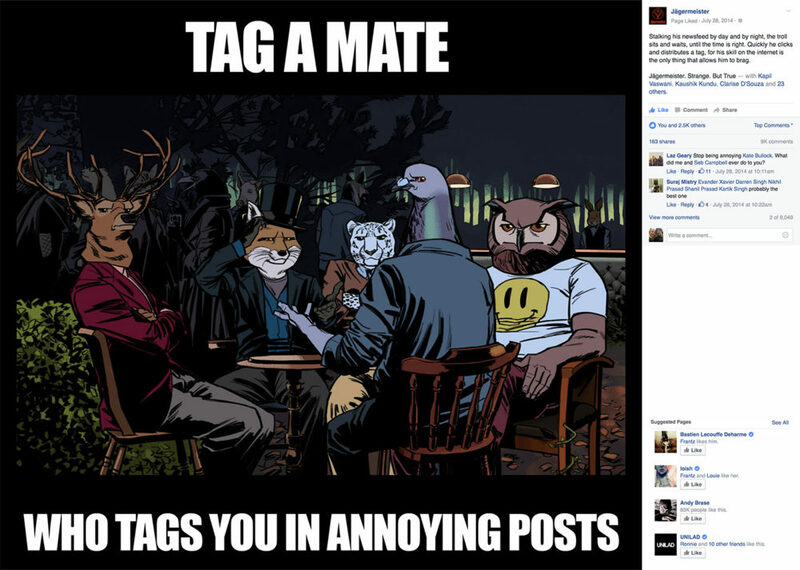 For example, “Getting in at 6AM on a Sunday morning?” Then there was a message in your newsfeed wishing the Night Owl a safe passage against the rising sun. 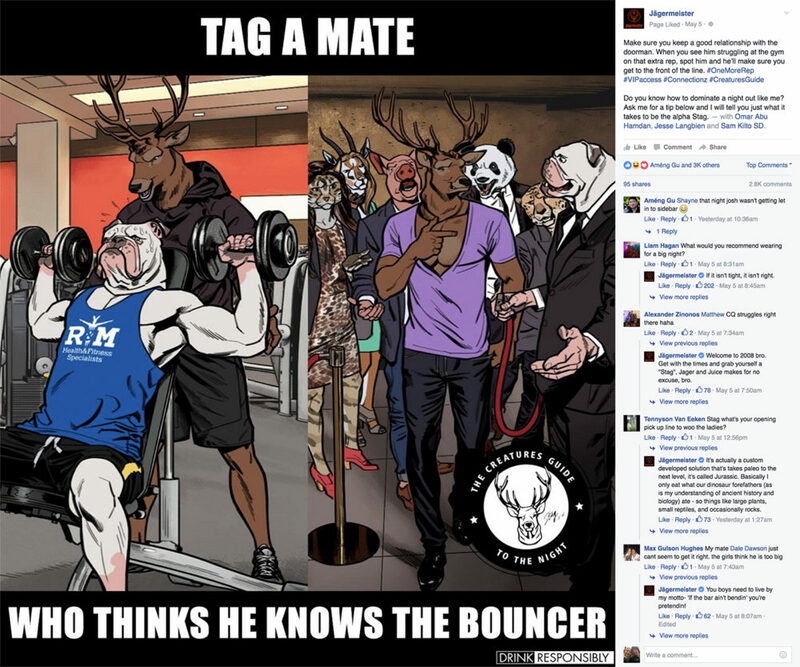 The audience adopted the characters like they were one of their own using Jägermeister’s social stories to tag their mates. They were so popular that our characters became social celebrities in their own right. The work won two Festival of Media Asia awards for Best Entertainment Platform and Best Social Media Strategy, and is currently shortlisted in two categories in the Festival of Media Global Awards.